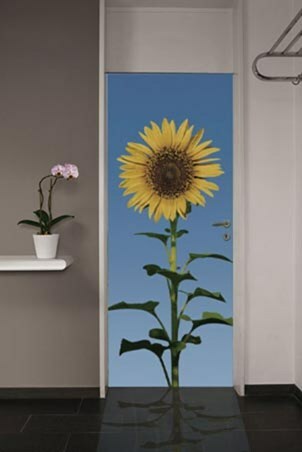 Photography Door Mural: If you are looking for a clean and tidy way to add some life and colour to your bedroom door then this gorgeous sunflower mural is just what you need. Bursting with brilliant blues and yummy yellows, this mural is guaranteed to wake you up with a smile every morning with it's lovely sunflower out in full bloom for everyone to see. 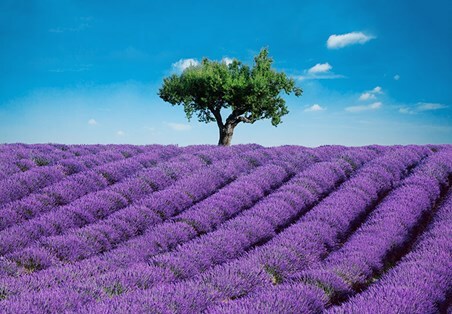 A flower that not only produces seeds that are great for your health but the flower itself is enough to put a smile on anyone's face. A must have door mural for any one who is looking for something a bit different and full of colour for their room. High quality, framed Sunflower, Giant Sunflower Door Mural door mural with a bespoke frame by our custom framing service.